Location: North of the A6 at Blackwell Mill. A short distance to the west of the beginning of the Monsal Trail; there is no road access. 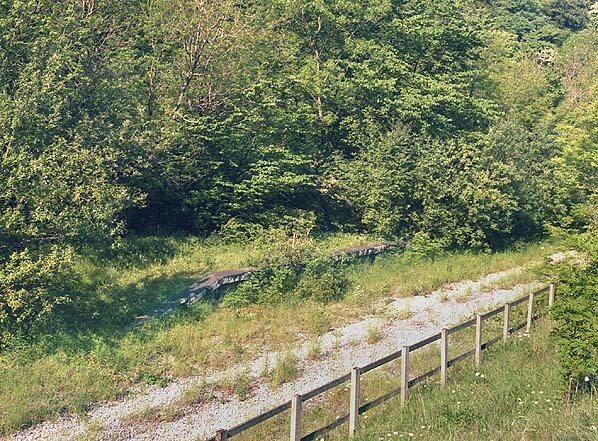 The halt is just to the west of a bridge carrying a footpath over the line. Present state: Both platforms extant although overgrown.. A plate layer's hut that was used as a shelter for waiting passengers is extant. Notes: Blackwell Mill Halt was situated within a triangle of Midland Railway (MR) lines that allowed trains from Buxton Midland to travel east towards Millers Dale, or north towards Manchester Central and trains from Millers Dale to travel west towards Buxton or North towards Manchester Central. The northern point of the triangle was called Peak Forest Junction, the western point was called Buxton Junction and the eastern point was called Millers Dale Junction. Within the triangle of lines the MR provided cottages for its employees. As the location was very isolated they also provided a halt so that their employees and their families could more easily travel to and from their homes. Blackwell Mill Halt was located on the line that ran from Buxton to Millers Dale just to the east of Buxton Junction. This section of line had been the first to open at Blackwell Mill being part of the original line into Buxton that started to carry passengers on the 1st June 1863. The halt consisted of two very short stone built platforms that were staggered. The platform on the south side of the line, the westbound platform, being the closest to the Buxton Junction. No shelter was provided but a platelayers' hut located at the west end of the westbound platform was probably used by passengers who were all railway employees or their family members. A footpath ran down a bank on the north side of the line to the cottages. A sleeper crossing was provided to connect the platforms. 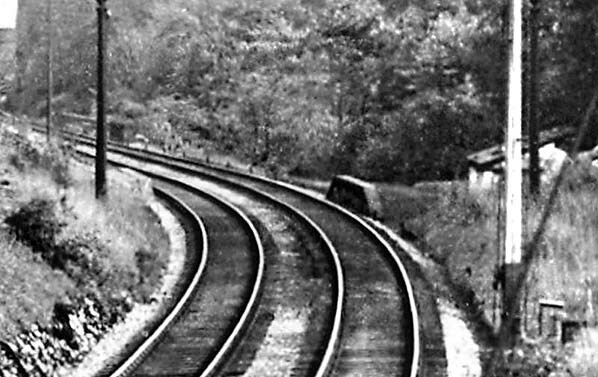 It was often said that the Halt was the smallest station in England but this is not true: a number of sleeper built halts are smaller..
From the early days of the halt right up until its closure most of the passenger trains passing through it were shuttle services that connected Buxton Midland Station with Millers Dale. From 1867, express services running along the Midland Main Line from Ambergate to Manchester Central, bypassing Buxton Midland, by running through Blackwell Mill on the eastern side of the triangle, between Millers Dale Junction and Peak Forest Junction. There was a need to provide Buxton residents with a means of accessing these important services; this was achieved by running a shuttle service between Buxton and Millers Dale where express trains stopped so that they could serve Buxton passengers. Blackwell Mill Halt was served by these shuttle trains. Blackwell Mill Halt did not appear in public timetables as it was only supposed to serve railway staff and their families. It did appear in working timetables first appearing in November 1874. In 1923 the Midland Railway, and its halt at Blackwell Mill, became part of the London Midland Scottish (LMS) railway. By 1927 there were only two mandatory stops per week in each direction at Blackwell Mill Halt. However passengers were able to request that additional trains stop, and they did. The Buxton to Millers Dale shuttles had become the preserve of a steam engine and coaches that could be pushed or pulled as the end coach had a seating position for the driver. This method of working meant that the engine did not have to run around at the completion of its journeys. In 1948 Blackwell Mill Halt became part of the nationalised British Railways, London Midland Region. 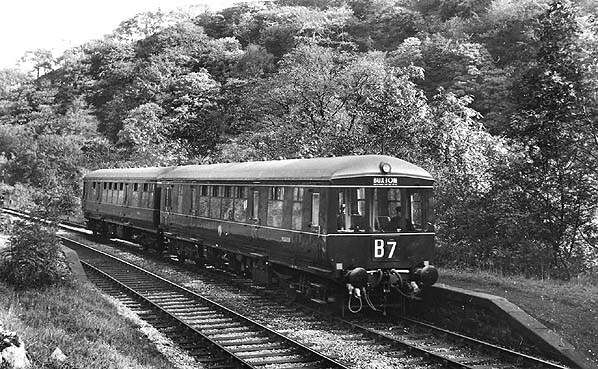 In the late 1950s Diesel Multiple Units replaced the push and pull sets on the Buxton to Millers Dale shuttle. At the same time electrification of the Midland lines from Manchester was considered. It came as a surprise therefore when the route, including the branches into Buxton was proposed for closure. Blackwell Mill Halt closed completely on the 6th March 1967 along with all of the other intermediate stations between Matlock and Chinley. 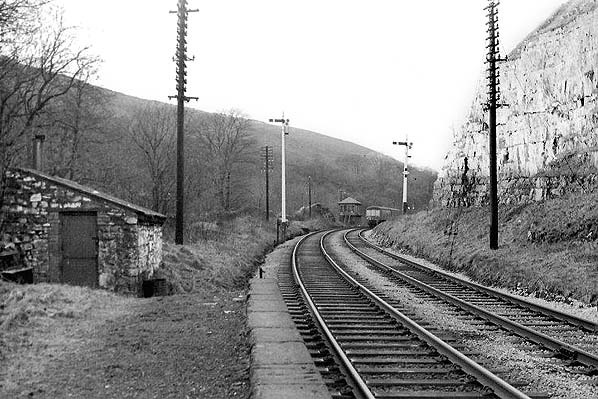 The line from Buxton Junction through the station to the east was lifted in 1969. To the west of Buxton Junction the line is still open. It follows the course of the western side of the triangle to Peak Forest Junction and is used by freight trains that serve quarries in the Buxton area. 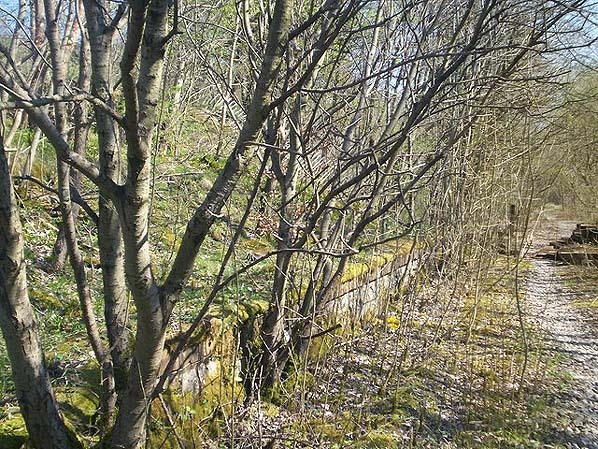 Today Blackwell Mill Halt still survives hidden by vegetation. The Monsal Trail which was opened by the Peak District National Park in 1982, and which follows the course of the Midland Railway towards Matlock, starts a short distance to the east of Blackwell Mill Halt. By the 1970's the railway cottages were derelict but they have all now been renovated and are in private occupation. 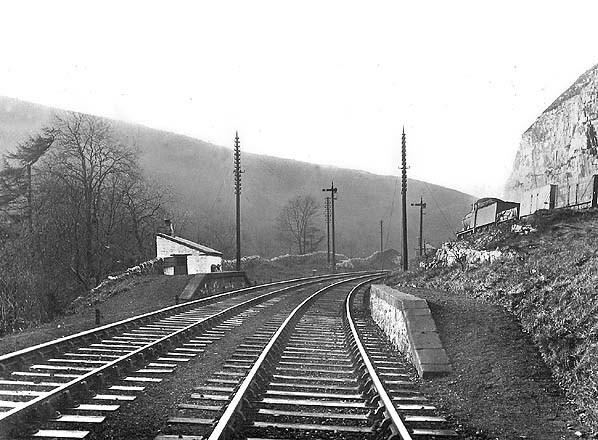 Looking west at Blackwell Mill Halt in the middle of the 20th Century. The picture clearly illustrates the simple halt that was provided for railway workers and their families. Just beyond the station was the Buxton Junction where the lines from Millers Dale and from Peak Forest met. Blackwell Mill was on the Millers Dale line. 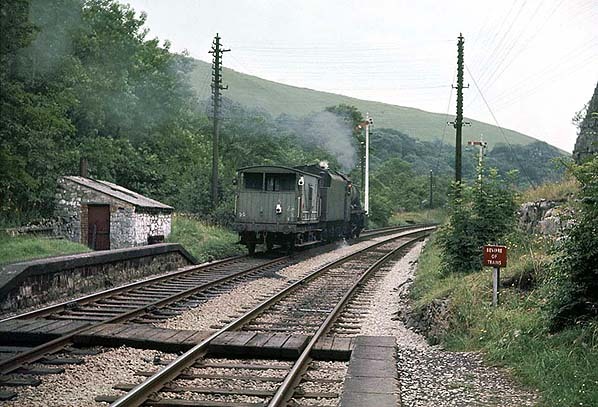 A goods train travelling towards Buxton from the Peak Forest direction can be seen on the right of the picture waiting at a signal. Blackwell Mill Halt looking west in August 1963. The 8F is under the control of a Midland Railway lower quadrant signal, the signal on the right protected the curve from Peak Forest Junction to Buxton, now the only track remaining at this site. 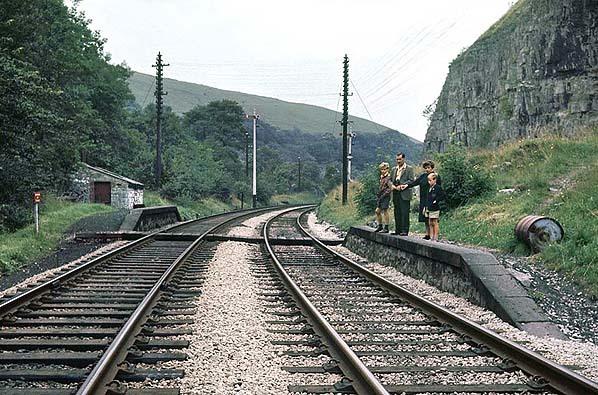 Blackwell Mill Halt looking west towards Buxton in 1967. The signal box is at Buxton Junction where the lines from Millers Dale and from Peak Forest met. A platelayers' hut was located at the west end of the westbound platform. 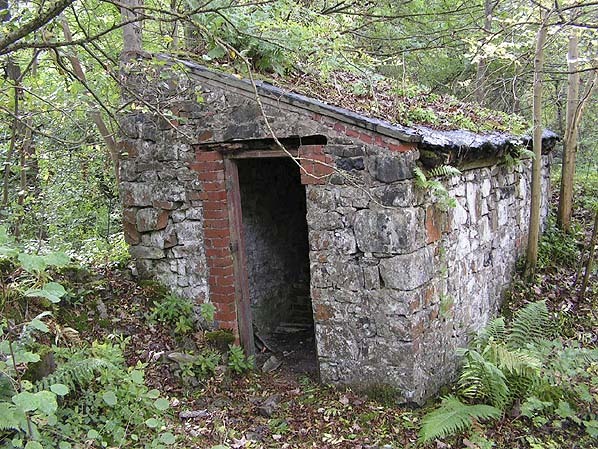 It is likely that railwaymen and their families used the hut for shelter while waiting for trains as the halt had no form of protection against the elements. The hut was still extant in October 2009.